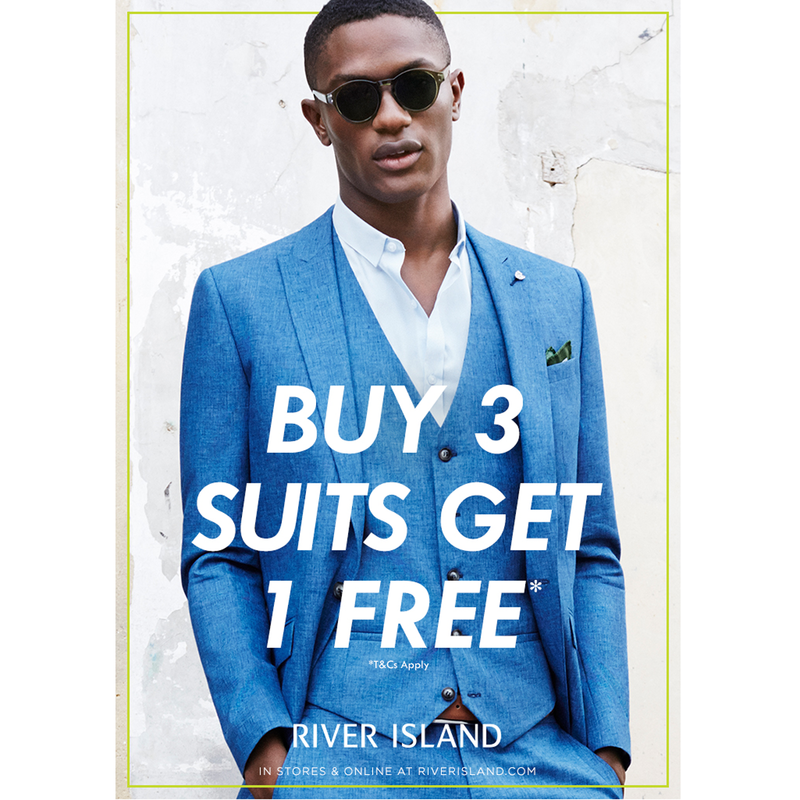 Whether you suit up everyday for work, or have a wedding, prom or the races to attend this summer, don't miss out on this amazing offer from River Island. *Buy 3 full price men's suits and get 1 free. Offer available between 00:00 GMT 3rd April 2017 and 23:59 GMT 30th September 2017. Returned items will be refunded at the discounted price paid on production of a valid receipt. Offer cannot be used in conjunction with any other promotions. Selected lines only.